Some of China’s zombie firms may finally die. The State Administration for Industry and Commerce and the State Administration of Taxation jointly issued a statement Monday that requires dormant companies that have not submitted annual reports or tax declarations for at least two years to begin business operations once again or file for liquidation. Of the zombie firms, dormant firms are the deadest, perhaps getting by through paying interest on debt but otherwise holding off on normal production. Zombie firms in general have presented a challenge to China’s government since the economic slowdown began, since these state owned firms have faced high levels of debt or overcapacity. Many of these are situated in sectors such as steel and coal that have absorbed the brunt of the slowdown, particularly as demand for fixed asset investment has ground to a halt. The firms have created an ongoing debt cycle, as they are often forced to borrow from banks in order to repay debt servicing costs. Banks lend to them because they are considered to be under government guarantee, even though this may result in nonperforming loans that will eventually be purchased by asset management firms. Continuing to finance bad debt or converting non-performing loans into equity has prevented nonfunctional firms from having to go through a lengthy and costly liquidation process. It may be hoped that the new regulation forcing dormant firms to liquidate will reduce some of the burden on banks. China’s State-owned Assets and Administration Commission (SASAC), which is responsible for non-financial state-owned enterprises (SOEs), has promised to cut away zombie firms as part of a larger reform target to increase the efficiency of state owned enterprises and allow for mixed-ownership reform. In fact, it has been estimated that 10% of listed companies may be zombie firms, including those in the iron and steel, coal, cement, electrolytic aluminum, shipbuilding, and petrochemical industries. Massive losses have been experienced particularly in the steel sector. Many SOEs in sectors that have reached overcapacity have committed to laying off workers, but some local governments have pledged to keep SOEs in overcapacity sectors alive in order to preserve jobs. This points to geographical differences in treating zombie firms. While regions like Xinjiang province have resolutely committed to ending overcapacity, other areas find this much harder to carry out due to the emphasis on maintaining employment and social stability. Indeed, zombie firms have strong ties to local economies, government, and the banking sector, rendering them particularly hard to kill. 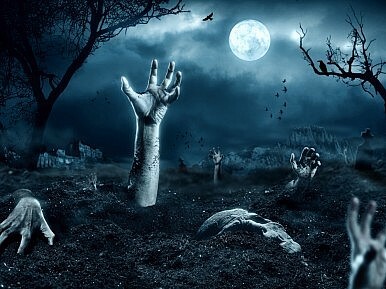 Zombie firms may include both dormant firms and loss-making operational firms. Few provinces have released information about the number of zombie firms that exist within their borders. Shandong province, however, has identified its zombie firms, which numbered at 448 at the beginning of this year, and were situated in the textiles, building materials, machinery, chemical, coal, metallurgy, medicine, and electronics industries. Hunan province has noted that its enterprises that have reached overcapacity number at about 1,000, while Anhui province has estimated these at about 1,040. More developed provinces such as Guangdong, Tianjin and Shanghai are believed to have the highest numbers of zombie firms since SOEs have led the prior growth revolutions. However, much more pressure is being placed on provinces with large resource-based industries to reduce zombie firms. This is felt strongly in the northeast, in Hebei, Inner Mongolia, and Shanxi province. China’s leadership has attempted to restructure the economy while shielding its citizenry from the pain of job losses and worse economic conditions. It seems likely that households will face less protection if zombie firms are to at last be laid to ground. The trick is to generate new jobs, new sources of growth, as the zombies are buried, and therein lies the never-ending challenge. The Renminbi Joins the IMF's SDR Basket. Now What? This is a big moment for China, but its economy still has challenges that it needs to address.